The way photographer Carrie Mae Weems frames a subject — chooses a portion of what she sees to include in her picture — involves interesting shifts in focal point and point of view. She shows students how framing becomes an element of composition, as it can change the focal point and meaning of the subject. Students will be surprised at her framing choices as she photographs her Oakland neighborhood. 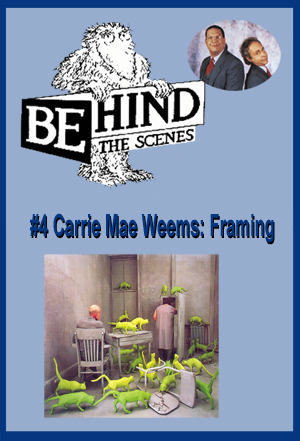 Click here for Visual Arts Guide for Framing episode. This is a large file.